Between the joint/bone pain, the lymphedema swelling, and the nervous system issues I felt like I was unable to do anything. Everything hurt. Everything was hard. I had to do something... some type of exercise. 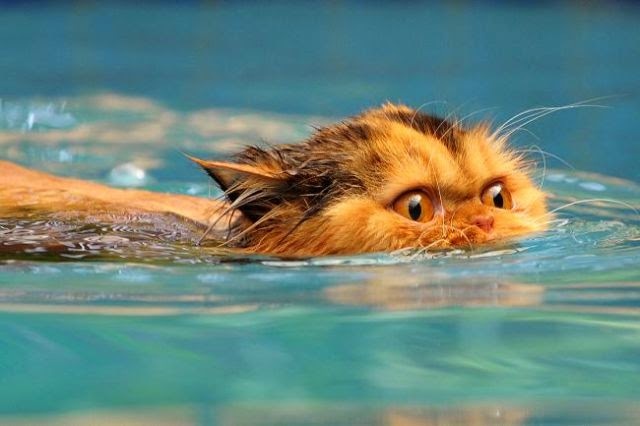 After discussing it with my OT, she recommended swimming. With an exercise option in place and my family getting me a Y membership for my birthday I was off to the pool. For some reason I had totally forgotten about water exercise. I think I mentally blocked the idea of swimming because it would require me to get into a swimsuit in front of other people. However at this point do I even care??? NO! Watch me attempt to swim! I must have forgotten all my early years on the swim team and how much I enjoyed swimming. I love the water. How could I have forgotten that?!?! While I knew I wasn't going to be doing butterfly or backstroke yet, I was able to at least get in the water and do some form of exercise. I had to modify my swimming to make sure that I do not raise my arm above the water. So my freestyle was odd looking, but I could still do breast stroke with ease. Even in the dreaded swimsuit and knowing that I probably looked ridiculous... who cares... I loved the water. There was one moment when I finish a lap and turn around. I am completely submersed and nothing hurts. Seriously... nothing hurts. It was an amazing moment. Check them out... click here. The sleeve is made of a thicker material that provides more compression. I tend to wear my Lymphediva products on my normal day, as they are softer and less compression. However I do need an option to have more compression and these products are great for when I am do more strenuous activities. Which basically means I rarely have to wear it these days!!! All joking aside, it is nice to have both options. There are days when I need it. However, the compression garments are expensive... very expensive. We are talking over a hundred dollars for the set... and you have to have multiple pairs. You wear them all day. They can be washed, but it is like underwear... would you only like 1 or 2 pairs of underwear to wear all year?!?! She gave me the big-spending-make-my-child-feel-better shopping trip. Thanks mom!!! Normally, I cannot stand to shop. Really... boring. However, I will say that I was not complaining on this shopping trip. I am now set for summer, fall, and winter. Loving my shoe options now!!! I just keep moving forward and trying new things to feel better. I am really willing to try various products and options. 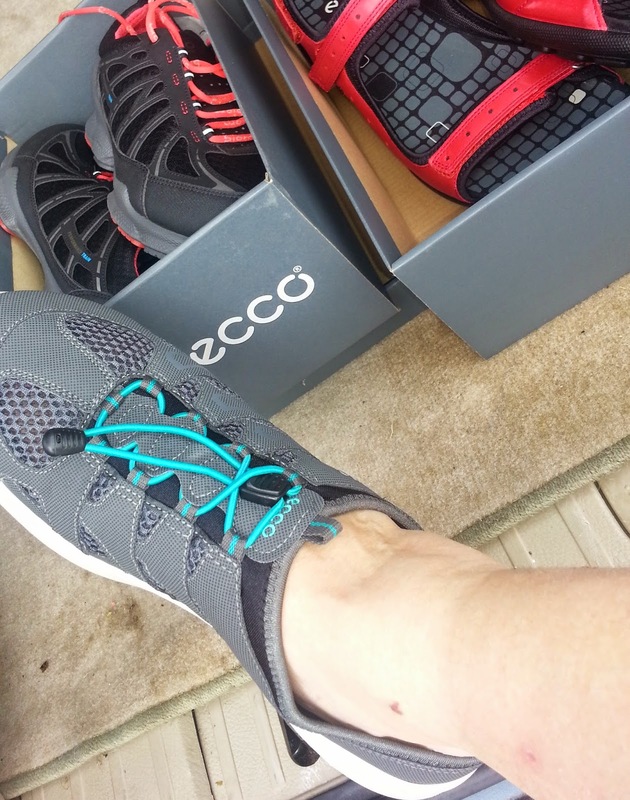 Like a variety of different compression garments, shoes, and other things to try and improve my general well-being. I wish I had thought of swimming sooner. And I recommend it to so many people I meet now. It is the one time I truly feel good. The water is so calming and without the impact that normal exercise puts on my body I can actually do something. It is a small something, but it is something!